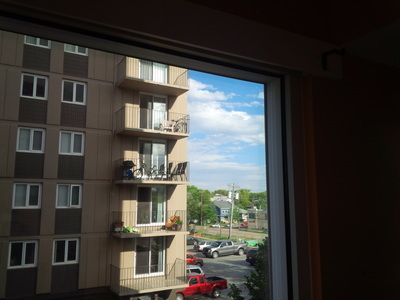 Replacement of IGUs in high-rise building - LiteZone Glass Inc.
​The photos below show LiteZone™ IGUs after being installed as replacement glass units into the existing window frames of a high-rise residential building (controls are at top of slides). ​A high-rise residential building had a number of fogged insulating glass units in a window system requiring IGUs that are 3.3" thick. 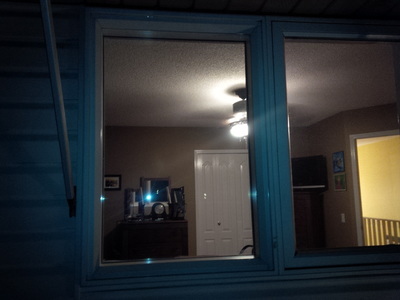 ​LiteZone Glass Inc. supplied and installed LiteZone™ L0499 insulating glass units into the existing window frames without the need for modifications. The optical properties of the new LiteZone™ IGUs were made the same as the properties of the original IGUs being replaced.